Microsoft has improved your ability to effectively move, store, and analyze data within the cloud. 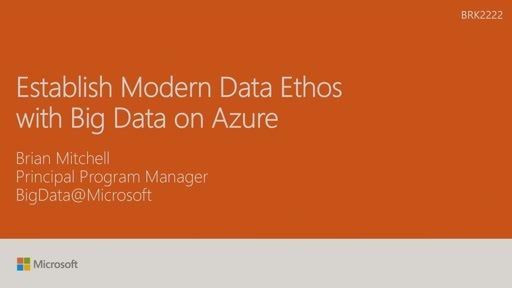 We take a look at what to evaluate when designing for Microsoft Azure data insights. We discuss data storage strategies, data partitioning, scalability, and availability options. We highlight the purpose of each of the individual components so you will know where and how to leverage each. Finally, we discuss key components for success on Azure including automation, fault tolerance, and telemetry. Very interesting presentation... thank you very much Brian. I suppose that something needs to be update nowadays... Is there an updated deck already available?